Ms. Robenalt attended Southern Methodist University for her BFA in bronze casting and stone carving. She then discovered her love for ceramics and decided to study at the University of South Florida to receive a post baccalaureate. Then she received a graduate assistantship at the University of Georgia where Ms. Robenalt accomplished her MFA in ceramics in May 2011. She is currently employed by Ringling College of Art and Design and has taught at State College of Florida, Auburn University and Columbus State University as an adjunct ceramic professor. Ms. Robenalt was a long-term artist resident at Odyssey Clayworks. She is also the co-founder of a sculpture collective called Ceramic Sculpture Culture Collective. 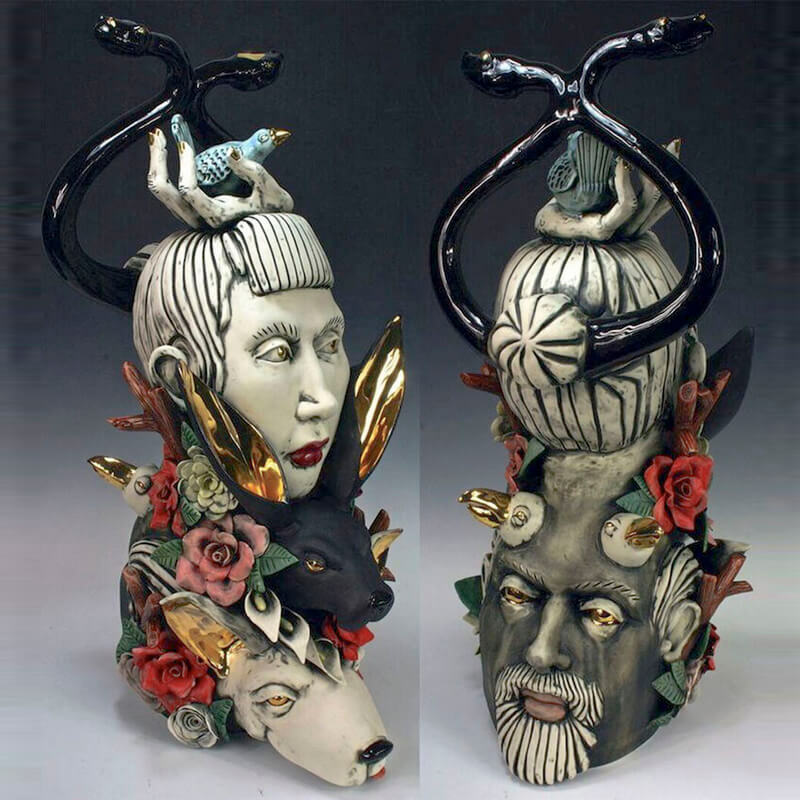 She has participated in many national ceramic shows, such as “Un-wedged”, “Vision in Clay” “History In The Making”, recently winning an honorable mention award at “De La Naturalaza” and “ Wild and Wooly Creatures” at CraftArt. In March, Taylor will be gave a panel at NCECA as well as curating a show. She will co-teach a workshop this summer at Penland School of Crafts. Taylor has received many scholarships including tuition waivers to Monte Verde, Costa Rica, Cortona, Italy, Tokoname, Japan, Watershed, Maine, Penland, North Carolina and Red Lodge, Montana.